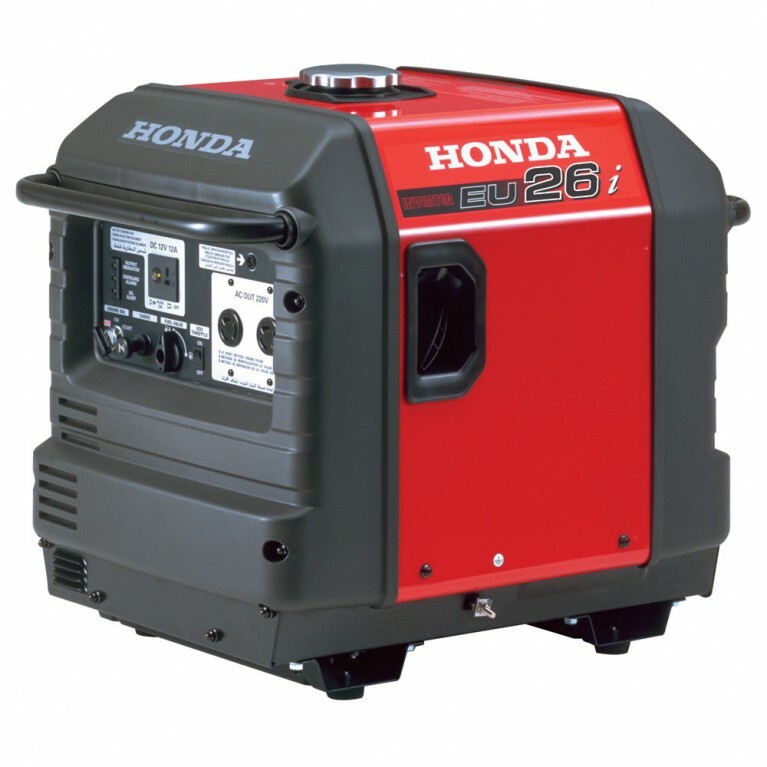 The Honda EU26i petrol generator provides 2600 watts of power, for heavy domestic and professional uses. It does this whilst still only producing 49dB of sound – very quiet. It has all of the unique elements that set the Honda EU Generator Range apart from the competition. It is compact, portable, quiet, and extremely clean in both its appearance and its power output. Honda’s EU26i will run for 25 hours on a single tank of fuel when using the Eco-Throttle feature. The EU26i also has the Honda Inverter Technology, which makes this generator ideally suited for use with sensitive electronics (e.g., computer, fax, printer, and telephone, stereo) because the generator produces a clean sine wave of energy and precludes surging.